Now Industrial Protocols for Plug & Sense! 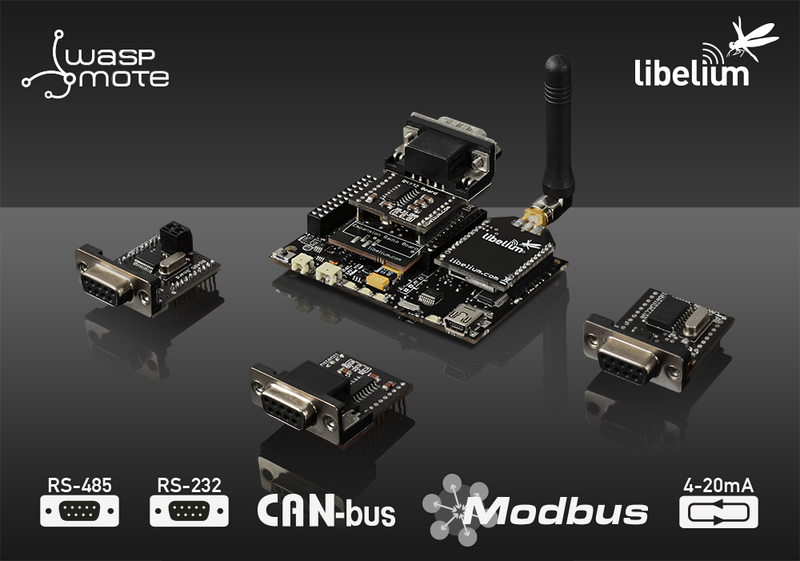 Libelium has released new industrial protocol modules and API libraries for Waspmote sensor nodes that allow sensor information from industrial devices to connect to the Cloud. The new modules support the most widely used industrial communication network protocols such as RS-232, RS-485, CAN Bus, and Modbus, used for process or industrial automation, building automation, military and automobile applications, for sensor network capability in remote or factory floor environments. 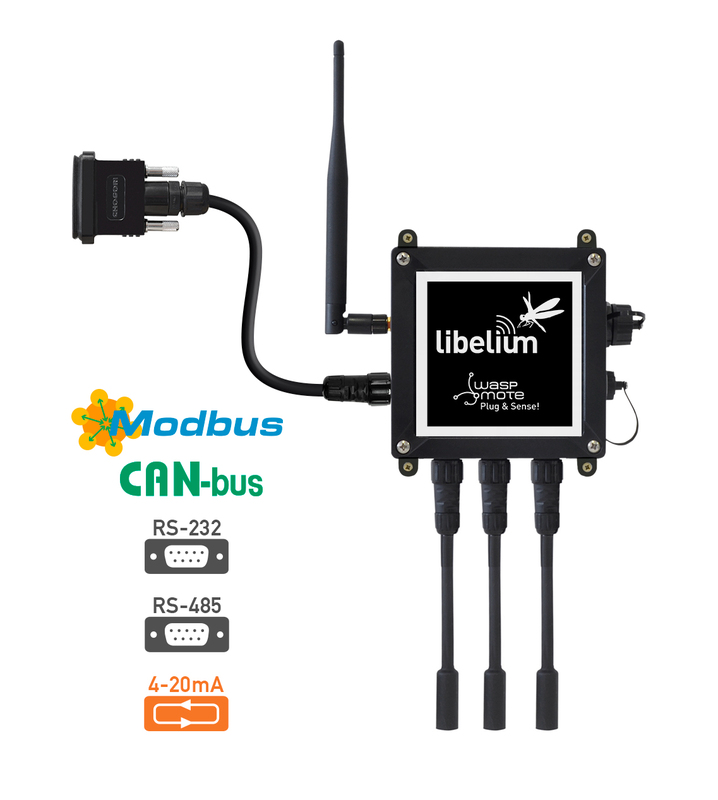 In conjunction with the new modules, Libelium has released an special sensor board to connect 4-20 mA sensors (current loop)—the most commonly deployed in industrial environments. Waspmote can be configured to work as a node in the network, inserting sensor data into the industrial bus already present. Waspmote can obtain information from more than 70 sensors currently integrated in the platform by using specific sensor boards (e.g: CO, CO2, temperature, humidity, acceleration, pH, IR, luminosity, vibration, etc). This way, the sensor information can be read from any industrial device connected to the bus. Waspmote can be configured to read the information coming from the bus and send it wirelessly using any of the wireless modules available in the platform to a base station or to another node connected to another bus. The available wireless technologies are: WiFi, 3G, GPRS, 802.15.4, ZigBee, Bluetooth, Bluetooth Low Energy, RF-868MHz, RF-900MHz. Waspmote can be configured to read the information coming from the bus and send it wirelessly directly to the Cloud using WiFi, 3G and GPRS radio interfaces. For more Technical information go to Waspmote website and to the Industrial Protocols section.